Palo Alto Networks has announced its range of next generation firewall devices have been expanded. Six new hardware firewall appliances are now available, and the range of VM-Series virtual appliances has been increased by three. The purpose-built hardware appliances include three devices in the PA-5200 Series (PA-5260, PA-5250 and PA-5220) which include a new architecture with 72 Gbps App-ID and 30 Gbps Threat Prevention performance. The new PA-5260 model has been developed for high throughput environments and is ideally suited for data center consolidation, higher gateway demands, and for inspecting encrypted SSL traffic. This is the most powerful device in the range and can cope with 32M sessions, has 3.2M SSL-decrypt session capacity, and offers 6.5 Gbps SSL-decrypt throughput. Two devices are offered in the PA-800 series (PA-850 and PA-820). These devices are best suited to medium-sized networks and branch and remote offices. The PA-850 model offers 1.9 Gbps App-ID and 780 Mbps Threat Prevention performance, with multiple CPU cores, and 8GB memory. The PA-220 completes the new range of next-gen hardware firewalls and is best suited for small branch offices and remote locations. The new model has increase port density, PAN-OX capabilities, has built in resiliency with dual power adaptors, and supports active/active and active/passive clusters. Three new VM-Series virtual firewall models have been released – The VM-50, VM-500, and VM-700 which offer industry-leading performance ranging from 200 Mbps to 16 Gbps, the latter being the most powerful virtual firewall appliances currently on the market. Updates have also been made to the VM-100, VM-200, VM-300 and VM-1000-HV which offers between 2-4 times greater performance. 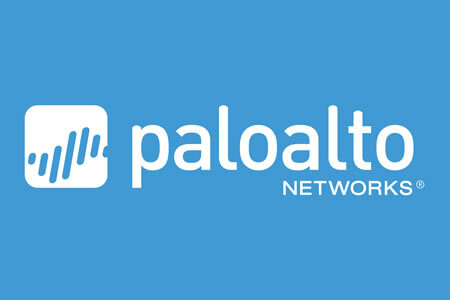 Palo Alto Networks has also updated its Next-Generation Security Platform PAN-OS® operating system to version 8.0, which now incorporates threat and credential theft prevention capabilities and advancements in cloud security management.